Horses are being singled out because they are not food animals in the US. Calling horses livestock does not make them food animals. Food animals are determined by how they are raised and regulated. Accordingly, US horses are non-food animals. They do not meet food safety laws by any stretch of the imagination. 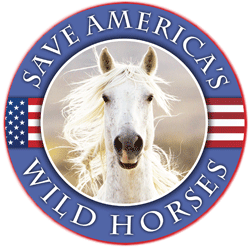 US horses are hauled out of the country with or without plants on US soil. According to USDA statistics, 775,474 horses were exported from 1989-2006 when all three foreign owned plants were operating on US soil. A Lebanon company that was shut down last month after two accidents involving trailers loaded with horses appears to be up and running again under a new name and in a new location.